Winter Closure - the Centre will close at 9.00 pm on Sunday 17th December and re-open at 2.00 pm on Wednesday 10th January. Over the New Year Lama Zangmo will lead a Silent Residential Meditation Retreat. Upcoming practice days at the Centre are now much easier to find on the website. On the page listing the main programme you'll see a heading in the column on the left saying "Practice Days". Click on it and you'll get a convenient list of what we have scheduled. New Year, New Beginnings with Clive Holmes on 27th-28th January. Given the dates, maybe that should have been "New-ish year, new beginnings. Oh well. Simply Meditation day on Sunday 21st January could be a good time to get some respite from the busy-ness of the Christmas / New Year period and ease your way into 2018 a little more gently. Although of course once we've reopened there's nothing to stop you from using the Shrine Room before then. Our Introduction to Meditation courses start up again in January on both Wednesdays and Thursdays. To book your place contact the office. We also start the new year with a one day course suitable for beginners called Transforming the Emotions. We will celebrate Earth Day on 22nd April with speakers on topics such as: Buddhist Ethics for the benefit of our planet; Veganism and the environmental impact of food ; Mindfully reducing our environmental footprint; Green Energy; Bees ; and much more to come. A special date for your diary. Different aspects of shinay ("calm abiding") meditation will be taught, including using sight, breathing and inner focus as a method to tame the mind and find inner peace. The day will be a combination of meditation instructions and actual practice sessions, including some walking meditation. This day is especially suitable as a follow-up for beginners and for those who want to refresh their practice and understanding. "Taming the Mind" with Lama Zangmo takes place on Saturday 9th December, 10.00 - 4.00 pm. You can book your place now by clicking on the Donate button at the bottom of the course page. In the last few decades of neuroscience, there has been an explosion of fascinating research into 'embodiment'. This field looks at the way that the thinking mind is much less important in a healthy life than we have previously thought. The body becomes central. Using his mix of research, therapy and Buddhist meditation, Alistair is running a 2-day exploration of this revolutionary way of experiencing ourselves. Using the tools of somatic meditation and focusing, we will look at how a stronger sense of interoception can deepen our understanding of our emotions, lessen the power of toxic thinking, reduce stress and heighten the sense of connection to others and the World. Research shows that a healthy sense of ourselves as embodied can protect against depression, disordered eating, unregulated anxiety and a lack of vitality. Come along to the lovely space of the Spa Road shrine room and open up to the wonders of the Body. 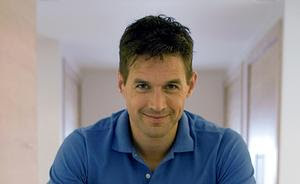 "The embodied science of deep meditation" with Alistair Appleton takes place on 3rd-4th December, 10.00 - 5.00, full price £95. You can book your place now via the Mindsprings website. John died peacefully on 17 November, 87 years old. He had a great life and a peaceful death. 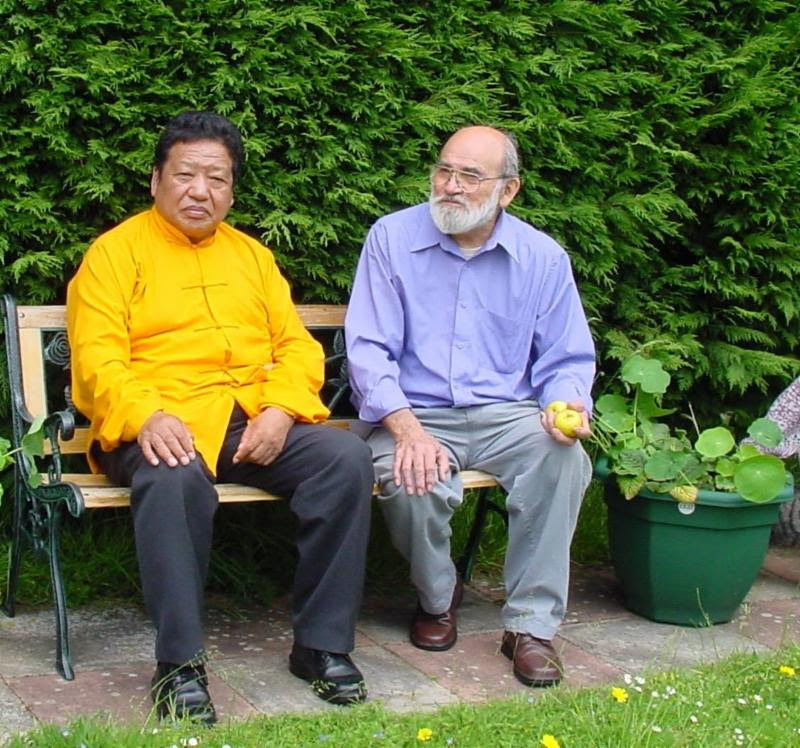 For those who didn't know John, he and his wife Pat (who died 3 years ago), ran "the Dharma Study Society" from their family home in Dalston. It was not called a Samye Dzong but every Dharma activity taking place there was sanctioned by Akong Rinpoche. Hundreds of people associated with Samye Ling have stayed with them on their way to airports or teachings. Guests included Ringu Tulku, Drogen Rinpoche, Panchen Otrul Rinpoche, Lama Samten and, of course, Akong Rinpoche, Lama Yeshe Rinpoche and their whole family. Their home was an incredibly rich centre for many, many people for over 20 years. Akong Rinpoche gave annual teachings, empowerments and refuge ceremonies there. John was also an excellent artist and painted the picture of Akonog Rinpoche which was used in the film Akong - a Remarkable life. 10.00 - The coffin arrives. People are invited to sit in the shrine room to pay their respect, say prayers, say goodbye. 1.00 - The service will begin. Please arrive earlier as the doors will be closed just before the service starts. Lama Zangmo will start her Thursday evening teachings for 2018 with four classes on "The Precious Garland" by Gampopoa. The Precious Garland is a text which gives precise instructions on the view, meditation and conduct of a practitioner and outlines what we need to know in order to perfect our spiritual practice. Lama Zangmo will go through some of the chapters in this text and explain them in more detail over four Thursday evenings. Each chapter is divided into ten or more points, all around a specific topic which acts as a mirror and helps us to see where our focus should be on our own path. This course can be attended on its own, and is suitable for anyone wishing to deepen their understanding of Buddhism and their meditation practice. People are however asked to attend all 4 sessions. 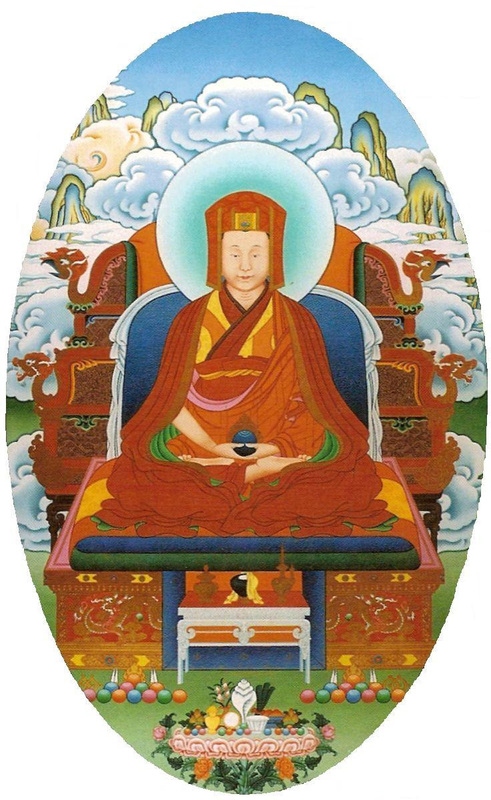 Gampopa, also known as Dhakpo Rinpoche, is one of the most important figures in the Kagyu lineage and the founder of the monastic order of the Kagyu School. 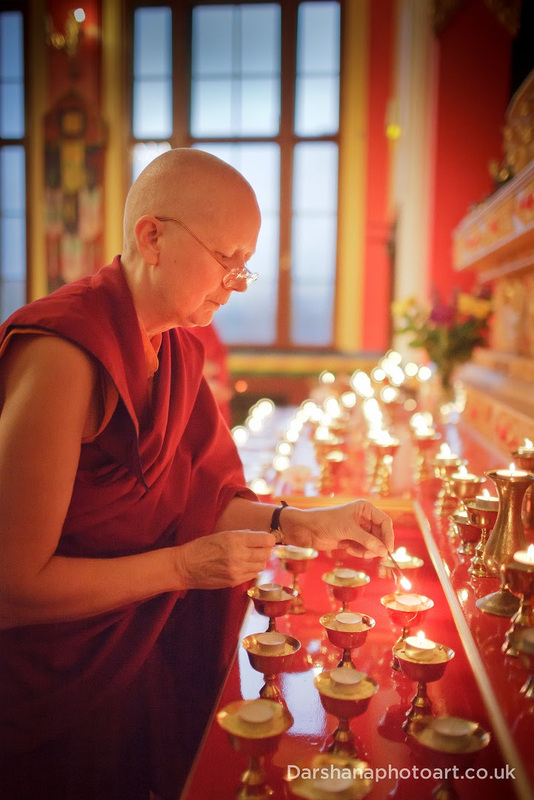 "A Precious Garland" with Lama Zangmo takes place on fourThursday evenings from 11th Jan - 1st Feb, 7.00-8.30 pm. You can book your place now by using the Donate button at the bottom of the course page on our website.